A certified nursing assistant (CNA) and an Licensed Practical Nurse (LPN) plays a vital role in providing routine care to the patients in hospitals, long term health care centers and mental health facilities. Most of their duties are similar to some extent. However, an LPN has more supervisory and technical responsibilities than a nurse aide. Both professions have certain differences in terms of salary, coursework, training, scope of practice, etc. Let’s take a look at some major differences between a CNA and an LPN. CNA- Students must take training of four to six weeks from an approved school or facility, in order to become a certified nursing assistant. Depending on the state, the training period varies from 75 hours to 120 hours. LPN- LPN training program runs for a longer time than that of nurse aide programs. LPNs are required to undergo a training of one year. Some institutes also offer a 2-year associate degree program. CNA- The topics covered in nurse aide training includes patient rights, anatomy and physiology, basic patient care, making beds, measuring vital signs, etc. LPN- During training, licensed practical nurses get acquainted with certain important topics, like legal implications of actions, medication dosage and administration, pathophysiology, care of the pediatric/geriatric/obstetric/psychiatric patients, etc. CNA- For acquiring a nursing assistant certificate, you have to qualify the certification exam, organized by the concerned state. LPN- To acquire an LPN license, you must qualify National Council Licensure Examination- Practical Nurse (NCLEX-PN). CNA- CNAs are certified nurses. It’s not mandatory for the candidates to possess license for carrying out their work as a nursing assistant. However, their name should be registered in the nurse aide registry and they must possess a certificate. LPN- It’s mandatory for the licensed practical nurses to hold a license of that state, in which they want to practice. CNA- Nursing assistant certification remains legitimate for 2-years, from the issue date. It is obligatory to work as a paid nurse for specified hours, to renew the CNA certification, in some of the states. LPN- The validity of LPN licensure remains applicable for two-years from the date of issue. LPNs can get their license renewed by continuing their education for a particular period of time and working as a paid nursing employee. CNA- Licensed practical nurses and registered nurses supervise the work of certified nursing assistants. Nurse aides can neither carry out the tasks of an LPN nor authorized to take independent decisions. LPN- These professionals report to RNs (Registered Nurses) and can also perform the job of a CNA. As compared to nursing assistants, LPNs work directly with the patients. 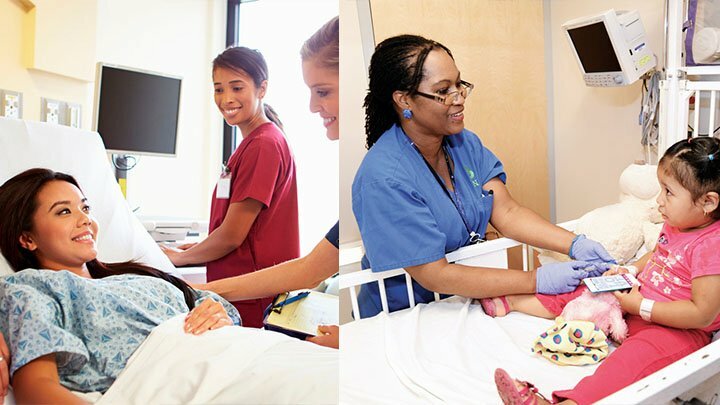 CNA- A nurse aide is responsible to take care of the crucial needs of the patients. Their duties includes collecting test samples, answering the call signals, reporting patient’s conditions, shifting patients, assisting in ambulation, etc. LPN- Licensed practical nurses are responsible for dressing the wounds, filing the medical reports of the patients, conducting minor surgeries, etc. They perform laboratory tests, monitor catheters, prepare and give injections and enemas, etc. CNA- Nursing assistants may earn an average salary of $24,040, annually. The hourly wages may vary from $7to $16. LPN- As compared to nurse aides, LPNs earn a handsome salary. Their average annual salary is $40,900 and hourly wages ranges between $12 and $25.